Link to view & read direct from the Federal Court data base; the "Flawed Judgment" PERTINENT to the secondary side issue that was substituted to displace and replace the real issue which was brought before the court for adjudication ... as an underhand ploy to evade the address of the real issue at point altogether. It is more than evident to virtuous people, that the REAL ISSUE AT POINT would have been an INFALLIBLE open and shut case, had it been addressed by the Federal Court instead. The Hon. Steve Scalise - Louisiana. The video clip attached to this email which depicts Republican the Hon. 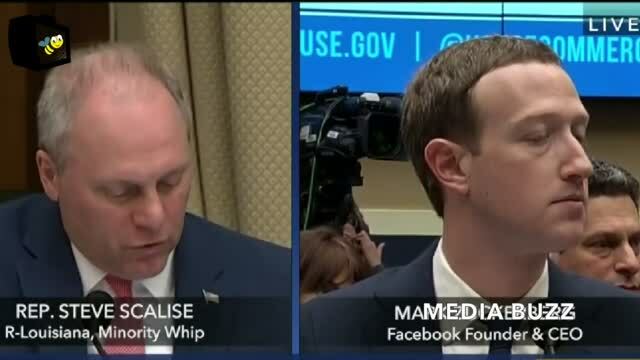 Steve Scalise – Minority Whip from Louisiana – questioning Marc Zuckerberg about the nature of the algorithms of computer algebra that Facebook utilises, demonstrates that American politicians – UNLIKE AUSTRALIAN LAWYERS – are not only AWARE of the existence of the algorithms of computer algebra, but are also AWARE that the algorithms of computer algebra can be utilised to identify individual people worldwide by means of their likes and dislikes, as well as by their other minor characteristics with pin-point accuracy. If these minor details and other characteristics of individual people worldwide can be identified so easily by means of the algorithms of computer algebra, logic dictates that the identification of true authors of so called orphaned works would also be extremely easy to achieve with the use of the algorithms of computer algebra. In May 1984, I devised an analytical method that I had intended to use in the future to identify myself as the true author of an original artistic work which I had created at that same point in time, for a very successful film that was planned for production in 1985 and exhibition worldwide two years in the future (i.e. in 1986). My reason for doing so was suspicion at the time of the possibility that I would be denied my royalties entitlement for my creation of the original artistic work, on account of the unconventional manner that had been employed to record the said original artistic work. The work was recorded on an audio magnetic tape recording device instead of the conventional manuscript in hard copy written form. What followed would certainly affirm the dictum “Necessity is the mother of invention”. As the title suggests, a PLA was designed to be carried out by means of an assessment of the nature of the words which are used by anybody and everybody in speeches, screenplays, court transcripts and court documents, as well as in written media publications. Based on the expressed (as well as the implied) meaning of the words that are used when a person strings together a set of words to form a sentence, a numerical value is allocated to each and every word that a speech or a document in written form consists of. A POSITIVE numerical value is allocated to words which reflect e.g. RELEVANCE, truth, virtue, goodness or merit etc. and a NEGATIVE value is allocated to words which reflect e.g. IRRELEVANCE, EVASION, fallacy, evil, fraud or violence etc. So, as you have probably already concluded by now, the algorithms utilized by Facebook most certainly have no intent to place (or currently contain) any “bias” in its algorithms to give preference to one political party to the detriment of another political party in the United States, or anywhere else in the world just the same. Additional Analysis of the Letter from the Federal Court. It is obvious that Judgment FCA 1822 dated 14th December 2001 declaring that the “statement of claim” filed in V682/01 by the applicant (i.e. the author) was conveniently defective, had absolutely NO PERTINENCE whatsoever to the REAL ISSUE that was brought before the Federal Court for adjudication. The Acting Registrar has failed to make the recognition in good faith that the original claimant (i.e. the veritable author of the original story since May 1984) has been treated as if he were a counter claimant making a fresh claim, despite the fact that it was the respondents (who in reality) were quite evidently the counter claimants in relation to the authorship of the original story for the film entitled “Crocodile Dundee”. Surely, the 14th of May 1984 when the author had established and secured his original claim by means of a set of 96 markers supported by matching forensic evidence, is a date that PRECEDED by some ten (10) months the date of the 30th of March 1985, on which latter date the very first counter claim was made and published in the magazine “Rydges” !! Indisputably, an illusion created by the media since the 30th of March 1985 stating that Paul Hogan was the author of the original story for the film “Crocodile Dundee” … DOES NOT QUALIFY AS LEGAL EVIDENCE. 1. The author’s letter dated the 28th of November 2008 was officially addressed to the incumbent Registrar of the Federal Court of Australia, Victoria registry – i.e. Ms. Sia Lagos. As is customary procedure in the Australian Public Service, the response to the author's letter dated 28th of November 2008 was issued – not from the incumbent Registrar who had been officially appointed to this position and to whom the author’s letter was addressed – but from some ACTING Registrar … with the clear purpose of protecting the forthcoming breach of duty from the official and incumbent Registrar which was to be contained in her response to the author's letter - had she personally responded to it. 2. Three distinctly different persons CANNOT POSSIBLY SHARE the same birth certificate. It is therefore more than evident that the so called copy of the birth certificate filed as an exhibit by the respondents in V682/01 was counterfeit. 3. Three distinctly different persons COULD NOT HAVE ALL THREE signed ONE single affidavit with ONE ONLY SINGLE signature as ONE ONLY DEPONENT. It is therefore more than evident that the so called deponent’s signature that was affixed to the so called affidavit filed by the respondents in V682/01, was unquestionably a forged signature purporting to belong to ONLY ONE deponent of the so called affidavit, but which in reality had been fabricated by one of the lawyers acting for the respondents. 4. Based on the above two paragraphs, the number of false statements contained in the so called affidavit, indisputably constitute PROFESSIONAL MISCONDUCT by a professional lawyer in its worse form. 5. The respondents were unable to produce before the Federal Court and in material form, a person with the exact name of “Kenneth George Shadie” when the applicant moved the court to issue a subpoena for the respondents to produce the other person who they alleged had the exact name of “Kenneth George Shadie”. It is more than evident that the pseudonym “ken Shadie” that the author had used since May 1984 did not exist at that time as a real person in material form (i.e. in flesh and bones). 6. Even if another person had used the same pseudonym at another point in time, there is no evidence that this other person was entitled to any royalties (when this other person was brought in as a substitute in place of the real author) purporting to be the creator of the original story and/or the person who had devised the ORIGINAL screenplay for the film in question. 8. It is also more than evident that the ACTING Registrar is incapable of making the difference between the meaning of the term “allegation” and the meaning of the term “material fact”. 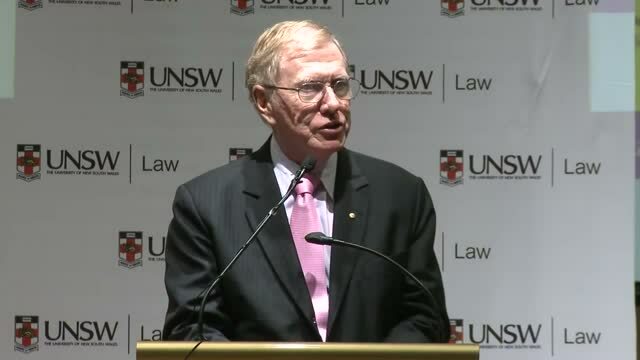 The material fact that the existence of money laundering and tax evasion has BEEN ESTABLISHED by the Australian Federal Police, the Australian Crime Commission and the Australian Taxation Office in the case heard by Justice Emmett of the Federal Court of NSW on the 12th of September 2008, the 22nd of December 2008 and on the 4th of March 2009 cannot be said to be a mere allegation. 9. The ACTING Registrar has also failed to mention that in V682/01, the applicant (i.e. the veritable author) was acting under the directives of the judge assigned to the said case (i.e. V682/01) and which judge had subsequently ordered that the applicant file an amended version of the initial “statement of claim” that the author had initially been directed to file and declared by the judge to be defective on THREE CONSECUTIVE OCCASIONS during the direction hearings of V682/01. How then could the MATERIAL FACT that the judge’s initial directives, issued to the author via the then Registrar of the Federal Court, Victoria registry, to file a “statement of claim” instead of accepting the initial presentation of the applicant's case in affidavit form, be considered to be nothing more but an ALLEGATION on the author’s part ? This information is recorded in writing in the very judgment itself !! 10. There was also NO RECOGNITION made in the ACTING Registrar’s response that the making of an “allegation of misrepresentation, fraud, breach of trust, willful default or undue influence etc.” was erroneously and routinely imposed on the applicant (i.e. on the author) by the Federal Court ITSELF, in light of the fact that the nature of case V682/01 was a mere confirmation by the original claimant (i.e. by the author) of what had been established and secured since May 1984 ... instead of being a fresh claim of authorship and copyright ownership made on the applicant’s (i.e. on the real author’s) OWN VOLITION, but who was INSTEAD COERCED to FORCEFULLY act as a counter claimant for the convenience of the court. 11. It is more than evident that the judge’s directives to file a “statement of claim” instead of allowing the initial presentation of the applicant’s case in AFFIDAVIT FORM, was an underhand ploy used to divert the focus of attention away from the REAL and PERTINENT issue that was brought before the Federal Court for adjudication. It is also evident that the substitution of the internal procedures of the Federal Court to displace and replace the real issue that was brought before the court for adjudication, was used as a decoy that served the purpose of placing these internal procedures on trial (to deflect attention away from the real issue at point) instead of addressing the REAL ISSUE brought before the court for adjudication ... and which REAL ISSUE was PERTINENT to the applicant's grievance. 12. It is also more than evident that judgment FCA 1822 issued on the 14th of December 2001 in V682/01, is a judgment that was PERTINENT to the “Statement of Claim” that was declared to be defective, and is NOT a judgment that is PERTINENT to the real ISSUE at point (i.e. to the author’s grievance) that was brought before the Federal Court for adjudication ... nor was the said flawed judgment PERTINENT to the pre-emptive ORIGINAL CLAIM that had been established and secured (and therefore made to be a forgone conclusion) since May 1984. 13. It is also more than evident to anybody with an average amount of common sense that the INAPPROPRIATE "Statement of Claim" that was said to have been "defective" because it contained the "pleading of a conclusion" was NOT APPROPRIATE, simply because the initial presentation of the case in the APPROPRIATE Affidavit form should have been accepted as a valid form of presentation ... in line with the other available option of Order 4 Rule 6 (1) of the Federal Court Rules. Just like the "pleading of a conclusion" is INAPPROPRIATE in a Statement of Claim, the "pleading of the said forgone conclusion" was NOT NECESSARY in the original Affidavit that was initially used to present the case in Affidavit form (in compliance with the other option of Order 4 Rule 6 (1) of the Federal Court Rules). This is so by reason that any Affidavit only requires AFFIRMATION of its contents by means of the (in this case forensic) evidence in the form of the supporting exhibits that are normally annexed to affidavits. In other words, what had been made to be a forgone conclusion since May 1984 DOES NOT NEED to be either "PLEADED" or even "PROVED" since it is obvious that the said forgone conclusion cannot be DISQUALIFIED as being an INVALID ORIGINAL CLAIM without evidence of the contrary. 14. The ACTING REGISTRAR also failed to mention that the judge who had issued judgment FCA 1822 dated 14th of December 2001 in V682/01, had subsequently disavowed himself by denouncing (in relation to the case : Rolah McCabe v/s British American Tobacco) the presence of “Perversion of the course of Justice” and “Perjury” committed by the same firm of lawyers who were acting for the respondents in V682/01, even though that “Perversion of the course of Justice” and “Perjury” in that other case was NOWHERE AS SERIOUS as the professional misconduct the same lawyers were guilty of in V682/01. 15. It is interesting to note also that the case Australian Federal Police/Australian Crime Commission/Australian Taxation Office v/s Paul Hogan & Tony Stewart that was heard by Justice Emmett of the Federal Court of Australia, NSW Registry, on the 22nd of December 2008 and on the 04th of March 2009, had a totally opposite result to the outcome of case V682/01 heard by the Federal Court of Australia, Victoria Registry. The latter case saw the NSW judge rule against Paul Hogan & Tony Stewart on account of the Public Interest associated with the act of tax evasion and money laundering that was involved in that particular case, despite the fact that the respondents listed in V682/01 attempted to use a similar underhand ploy (as they did in V682/01) that had absolutely NO PERTINENCE whatsoever to the issue that the Australian Federal Police, the Australian Crime Commission and the Australian Taxation Office had brought before the Federal Court of Australia, NSW registry, for adjudication. The following publication was intercepted in a blog posted on the Internet. This blog seems to be promoting Marxism in Australia. The idea, Darryl, is to make the system work as a de facto statute of limitations. It’s a long-standing equitable maxim – one that the law has borrowed – that parties who sits on their rights lose them (it’s often referred to as laches in judgments (a lovely word that should be better known). Copyright allows people to navigate around this principle, to the detriment of the law generally. The virtue of either (a) a term limit or (b) expiration on death is simplicity. Both have disadvantages, but these are greatly outweighed by their advantages over the current system. The disadvantages of term limits have been raised by Fine in her comments. Chris has addressed the disadvantages of expiration on death. In terms of legal reform, some economic modelling is necessary in order to work out which law hurts the least. No law is perfect, and very often attempts to ameliorate minor harms can have the effect of undoing the positive that accrue to developing a simple ‘bright line rule’. Taking a preliminary view, I am more persuaded by Fine than by Chris. That is, I think, that while the great author who writes something fabulous one year before his death misses out, the documentary film-maker who has another 30 years to live loses more, so I plumb for the ‘expiration on death’. This is, of course, a preliminary view. If these people can treat Intellectual Property with so much contempt, then they would also find it fit to hack into Australia's Defence System and copy classified material about a particular piece of military hardware that is vital for the defence of Australia, by using the pretext that the inventor is now dead. They would also probably copy files containing vital Defence Strategies that are vital to Australia's security, using the pretext that the person who had devised these Defence Strategies is now dead and therefore render their selling of this information to foreign powers "fully justified". EVIDENCE THAT THE AUSTRALIAN CRIME COMMISSION WAS MISLED BY THE FEDERAL COURT FLAWED JUDGMENT. As a result of EVADING the address of the PERTINENT ISSUE that was brought before the Federal Court for adjudication, the Federal Court has EVADED its responsibility to make a TRUE FINDING as to whether the ORIGINAL CLAIM that was established and secured since May 1984 was in fact CONFIRMED by the Applicant in FCA 1822 (14th December 2001). How on earth could the Federal Court have made a TRUE FINDING with regards to the identity of the person who was the original owner of the copyright in the ORIGINAL STORY for the film "Crocodile Dundee" when the Federal Court went out of its way to AVOID WHAT IT WAS SUPPOSED TO BE PRECISELY LOOKING FOR ? On what grounds did the Federal Court REJECT the ORIGINAL CLAIM which had been established and secured since May 1984 after it was CONFIRMED in 2001 ? The statement of claim which had been ordered on three consecutive occasions by the Judge in FCA 1822 (14th of December 2001) was not only in BREACH OF ORDER 4 RULE 6 (1) of the Federal Court Rules, but was also one of the two methods prescribed by this order that was CONSPICUOUSLY INAPPROPRIATE. The shame some people attract onto themselves when they take evasive action every time they feel they cannot win !! It was a sad day for patriotic Australians when in V682/01 the Federal Court decided to go out of its way to AVOID what the court was supposed to be precisely looking for. By substituting a secondary side issue that had absolutely NO PERTINENCE whatsoever to the issue that had been brought before the court for adjudication, the court has made an ADMISSION in substance that the respondents in V682/01 had no legs to stand on – not even with the aid of crutches. It was a typical example of “Action speaking louder than Words”. Since the Federal Court is funded out of public funds, it has an obligation to fulfil its function in accordance with the powers vested in the Judiciary by the Australian Constitution - i.e. To make sure that the court delivers both a FAIR and UNBIASED administration of Justice !! What would patriotic Australians (and the world) think of Australia if, say, Mark Webber makes a statement that he won’t compete in a particular Grand Prix event, because he knows perfectly well that he CANNOT win it … and instead substitutes a push bike event that better suits his “COMPETITIVE” skills? Evidence that this particular Federal Court judge - who was the same judge who had been assigned to the veritable author's 2001 Federal Court case V682/01 - has disavowed himself ... since the same firm of lawyers' misconduct in the veritable author's case V682/01 was undeniably massively MORE SERIOUS than in the case : "Rolah McCabe v/s British American Tobacco". It needs to be remembered that at law, a person or organization who is (knowingly or unknowingly) in possession of stolen property is liable to be charged and the stolen property recovered. There is no reason to believe that the ATO could be immune from this fundamental principle of LAW. "As time goes by" ... mother nature takes over and returns all things back to their original state [like e.g. steel becomes iron ore (i.e. ferrous oxide or rust) again.